Mead Park Brick Barn garage on Richmond Hill Road. NEW CANAAN — The Mead Park Brick Barn, a 100-year-old building on Richmond Hill Road, will soon come tumbling down. The town filed an application for demolition of the brick barn last Wednesday, but a hearing by the Historic Review Board may postpone the destruction by 90 days. Mimi Findlay, co-chair of the New Canaan Preservation Alliance, wrote a letter July 31 to the Bryan Platz, chief building official, objecting the demolition of the century-old barn citing its historical and architectural significance. 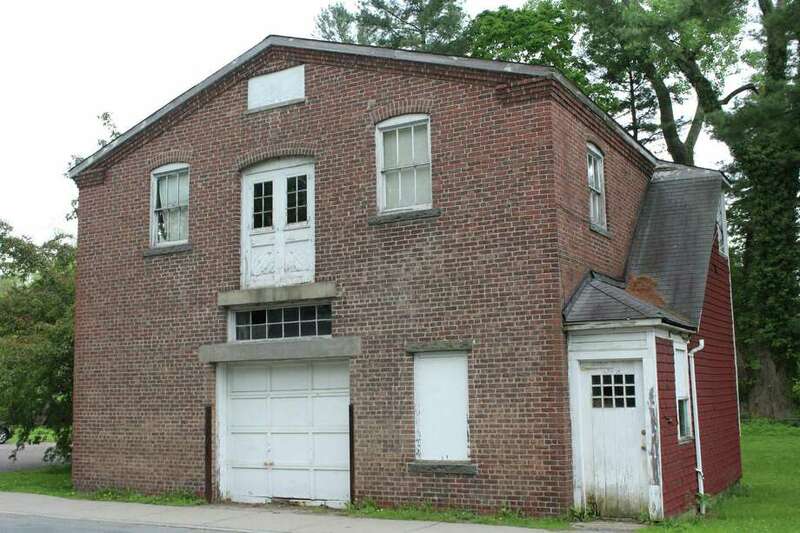 “This vernacular building represents a locally distinctive late 19th-century industrial architecture,” Findlay argues, requesting a hearing before the New Canaan Historic Review Board. The Historical Review Board, which meets on the third Thursday of each month, would be scheduled to hear about the demolition if it is placed on the agenda this coming Aug. 16. The New Canaan Preservation Preservation Alliance made a last-minute effort to save the property last week, approaching town officials like First Selectman Kevin Moynihan and Town Council Chairman John Engel with an offer of $1 a year for a 99-year lease. Moynihan said he didn’t believe the proposal was credible. “The preservation alliance is really an advocacy group as opposed to a partner like the Waveny Conservancy, the Athletic Foundation or Land Trust, where people have raised substantial funds to co-partner with the Town on a project. So I don’t think there is much viability here to work with them,” Moynihan said at the board of selectmen meeting last Tuesday. Earlier this year, Moynihan saw himself forced to cast a tie-breaking vote on the town council’s decision to budget $65,000 for the demolition of the garage building. Moynihan noted that the town was in the process of renovating other buildings like the Waveny House and the police department and also attempting to purchase the property like the 1124 Valley Road House which is currently owned by the First Taxing District of Norwalk. “We have to make choices,” Moynihan said.